There’s much more to dating than the same old cliché of dinner and a movie. Instead of following that predictable date-night routine, there are plenty of other ways for you to get to know someone new. In fact, if you’ve just met your new partner through match.com, you’re probably looking for some original ideas for dates in San Diego. Places where you can have fun and that give you the opportunity to get to know one another better. While at the same time, are also in harmony with your Christian beliefs. Thanks to the beautiful weather and scenery that San Diego is blessed with, there is a plethora of activities and destinations that tick all the boxes and make for that perfect date any time of the year. Whether you’re looking for a quiet place to talk, share an adventure or a challenge together, the city offers something for everyone. Here is a list of six of the best venues for Christian dating in San Diego to inspire you. San Diego has some of the most gorgeous coastlines. With 17 miles of it to enjoy, the beaches offers plenty of opportunities for enjoyable and memorable dates. 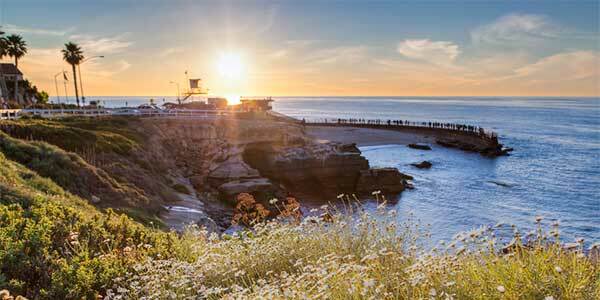 A must visit is La Jolla Cove. Tucked between sandstone cliffs, this small beach is stunning, and a favorite spot for photographers in SoCal. Share a picnic or go for a walk on the shore and enjoy the breathtaking scenery. See if you can spot any seals, which you’ll often find lazing in groups on the rocks. The beach is situated near La Jolla, a quaint Mediterranean style village that looks like a someplace you might find in Italy or Greece. It also offers some interesting things to do such as Legends Gallery where you can see artwork by Dr Seuss (a former resident of La Jolla). The area also features some of the city’s best restaurants. So what better way to end your day than having dinner on a terrace while watching the sun set over the ocean? Mission Basilica San Diego de Alcala is a serene and beautiful place to visit. Founded in 1769, it was the birthplace of Christianity on the West Coast. 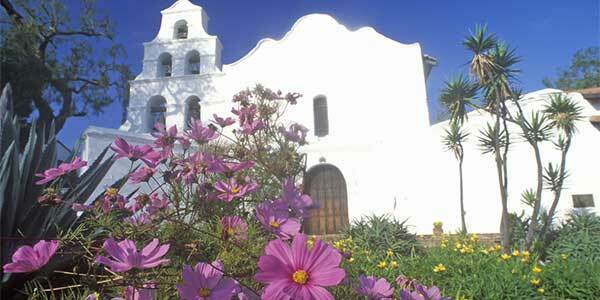 You can reserve a tour, attend mass in the original chapel and visit the mission’s museum and gift shop. It’s not hard to see why it is one of the most popular dating venues for Christian singles in San Diego. If you’re active with a love the great outdoors, then check out Mission Trails Regional Park. Its rugged hills, valleys and open areas encompass 7,220 acres. It offers 60 miles of trails for you to hike, along with boating on Lake Murray. It’s the ideal place to escape the hustle and bustle of the city for a while and just enjoy the beauty of nature. 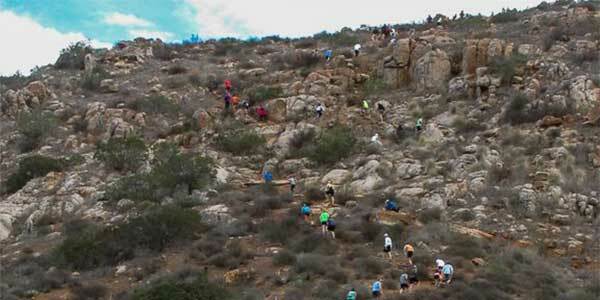 Another trail very popular with Christian singles in San Diego is Mt. Soledad. Hike or cycle to the top of the 822ft hill to see the giant cross at the Veteran’s Memorial. Then enjoy the spectacular panoramic views of San Diego spread out below you. 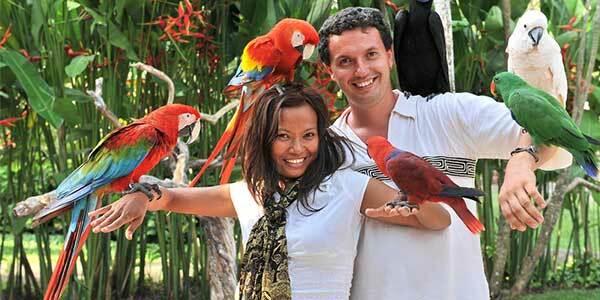 Considered as one of the best zoos in the world, it is a popular place for dates in San Diego. Home to over 3,700 animals, it’s one of the only zoos in the world that houses the giant panda. They also have the largest colony of Koala bears outside of Australia. It’s the perfect venue for a fun first date. Discussing your favorite animals while watching some of their funny antics is sure to help get the conversations flowing between you. 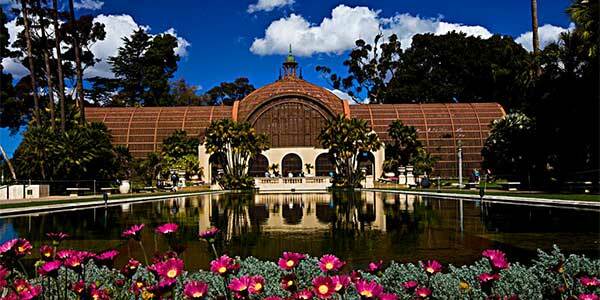 If you and your date have a taste for art and culture, then you’ll love Balboa Park. There is so much to see and do that you’ll probably have to come here on a whole series of dates! This sprawling 1,200 acre park is home to the Old Globe Theatre, 15 major museums as well as art venues and beautiful gardens. 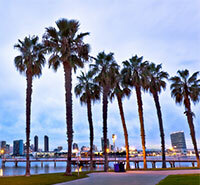 Popular museums include The San Diego Air and Space Museum, the Art Institute and History Museum. You can wander round intricate gardens like the Alcazar Garden modeled on the grounds of the Alcazar Palace in Seville with ornate fountains, shady pergola and exquisite Moorish tiles. Or take a stroll through the serene Japanese friendship garden with its koi pond and bonsai exhibit. Another highlight is the Spanish Village Art Centre featuring contemporary arts and crafts by San Diego’s large community of artists. There are thirty seven studios and galleries hosted in the historic Spanish tile roofed buildings which are home to over two hundred artists. They include painters, sculptors, jewelry designers, photographers and glass artists. A perfect to discover and enjoy new things together! If you’re still looking to find your ideal partner, sign up to ChristianMingle today. When you’ve found the one, you’ll have plenty of ideas for dates to enjoy together in San Diego.